PRWeek sister title Campaign's legendary journalist John Tylee reflects on the career of another legend - WPP founder, and now former CEO, Martin Sorrell. Martin Sorrell founded what became the largest marketing holding company in the world. Popular media dubbed him "the world’s most famous adman". It’s an extraordinary accolade bearing in mind that Sir Martin Sorrell never ran an agency. Nor is he creative in a way that thousands of those who owe him their livelihoods would recognise. Maybe this explains the sniffy attitude that advertising purists often held for the WPP founder as they chose to either to forget or ignore his massive contribution in making the global marcoms industry fit for purpose. That alone has earned him the right to be called a true industry visionary, although he didn’t always seem so. David Ogilvy, hailed as the father of modern advertising, viewed him as the barbarian at the gate as Sorrell made his 1989 swoop for Ogilvy & Mather. Famously condemning him as an "odious little ….. (reports vary over his exact choice of insult although all are deeply offensive), Ogilvy was the epitome of patrician disdain, sneering that Sorrell had "never written an ad in his life." Ogilvy’s smears exemplified an industry establishment that never quite accepted Sorrell as "one of us". Yet it’s no exaggeration to say that no man alive has helped shape marketing communication more profoundly. Or that he took what was essentially a cottage industry, imbuing it with operating systems and financial acumen that had often been conspicuously absent and winning it the respect of clients and investors alike. So much so that his economic soothsaying is something the money men always took seriously. Naturally, he brushed aside condescending descriptions of him as a "bean counter". Actually, he countered, he rather liked counting beans. Because Sorrell was never defined by the industry he has always viewed it with an outsider’s dispassion. Quick-thinking and clever, he was astute enough to recognise the huge potential of the creative industries if they could be well enough managed to meet what clients were demanding of them. This meant introducing the kind of margin-boosting cost controls that were commonplace in Sorrell’s world but largely alien to adland. 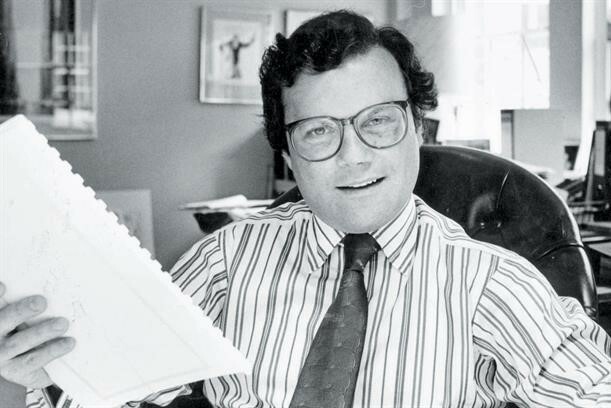 JWT, Sorrell’s first big buy in 1987, was a classic example of the damage that apathy and resistance to change could do. Thirteen times bigger than WPP, JWT had run to fat, was over-staffed and under-managed. In typically iconoclastic fashion, Sorrell succeeded in a £351m audacious takeover bid when the received wisdom was that such bids were suicidal in a personal service industry like advertising. Within a short time JWT’s margin was on the rise and the network revitalised. What’s most remarkable is that Sorrell, creator of a leviathan employing more than 200,000 people across 3,000 offices in 112 countries stumbled into adland though happenstance. Born into a North London Jewish family, he’d studied economics at Cambridge and at Harvard Business School before reaching his career turning-point in 1975. By this time, he was at James Gulliver Associates, which offered management and investment advice. Gulliver was an adviser to, and had shares in, the Compton agency, which was contemplating a merger with Saatchi & Saatchi. He asked Sorrell, his "personal gopher", to look at how the deal might be structured. Sorrell had heard of Saatchi & Saatchi but had no idea what it was. "I thought it was a new Japanese hi-fi firm". As negotiations progressed, Sorrell became increasingly impressed by Charles and Maurice Saatchi. He also got to enjoy the fast-paced world of advertising. "It was like entertainment or sport in all that mattered was your ability to do things." But, having joined the brothers as their first ever finance director, his disenchantment with the amateur way the industry was run became coupled with a desire to strike out on his own. "I thought it was my last chance to start a business," he later remembered. "When male executives turn 40 they should put a red flag on their computers. It’s the male menopause, or andropause. There’s always a chance they might do something unpredictable." In a dank basement office in Lincoln’s Inn Fields, Sorrell began undergoing his personal catharsis. With his investment partner banker partner Peston Rabl, he started thumbing through directories of small public companies. Their aim was to find one that could be used as the shell for a marketing services holding company. Given that Sorrell’s empire went on to embrace such pillars of the advertising establishment as JWT, O&M, Young & Rubicam and Grey, it’s curious to recall that the pair hadn’t originally planned to invest in agencies, having convinced themselves that marketing services was a more profitable option. In May 1985, they found what they were looking for. Wire & Plastic Products made supermarket trolleys and animal cages. Sorrell and Rabl bought 29.9 per cent of its equity for £400,000, sufficient to give them control. What followed was a rollercoaster ride. By 1987 WPP had bought 16 companies and seen its share price soar from 35p to £11. It was then that Sorrell decided to change tack and get into the agency business. It was by no means plain sailing but, in acquiring mainstream networks, he also gained a number of subsidiaries specialising in non-traditional services. As a result, WPP evolved into a group well able to cope with a fragmenting media landscape. Though severely tested, Sorrell’s nerve held. Critics wrote him off at their peril. They mistakenly did so in the early 90s when global advertising was in the doldrums and WPP was forced to issue a profit warning. Others might have thrown in the towel but Sorrell showed enormous guts and resilience and restored the group’s equilibrium by restructuring its finances and further screwing down its fiscal systems. Not even his latest tribulations can detract from the fact that he changed the way the ad business was run and modernized the function of the holding company. Under the old Interpublic-inspired model dating back to the 60s, such companies kept their networks separate in order to accommodate conflicting accounts. At WPP, clients could pick and choose. Sorrell has been a master at preventing big accounts moving outside the group by switching a dissatisfied client from one operating company to another. He’s equally adept at recognising and planning for the Next Big Thing. MindShare, born in 1999 out of the media departments of JWT and O&M, wasn’t only a recognition of a consolidating media world but a vehicle for Sorrell’s ambition to become involved in owning and producing content. In 2003, he established Group M to offer clients "best in class" media capabilities. It is now the world’s largest media buyer. How has Sorrell managed to achieve all this? Not by riding a tide of universal goodwill towards him, that’s for sure. "He expects people to dislike him so he doesn’t worry about it," a former colleague said of him. "It’s an invaluable armor." Possessed of a photographic memory, boundless energy and a meticulousness for detail, Sorrell has a reputation for keeping tabs on everything going on anywhere within WPP. As Campaign’s one-time associate editor (news) I remember calling the chief executive of a WPP-owned regional agency one press day to ask if he had any news about the agency’s pitch for a supermarket account. It would have been a significant win for the agency but no big deal in the WPP scheme of things. "Funny you should be calling about this," the chief executive remarked. "I’ve just had Sorrell on the phone asking me exactly the same question." His detachment from the industry where he made his fortune is a constant. He lacks the gregariousness that is adland’s common characteristic, never suffers fools, and detests the industry’s lauding of "luvvies". Indeed, he’s made little secret on what he perceives as Campaign’s championing of cool agencies and trendy work at the expense of hard-working agencies and campaigns. His clerkish demeanour couldn’t be more different than that of Maurice Lévy, the suave and charming former swashbuckling Publicis Groupe chief. Their feud dates back years and is reportedly based on a commitment allegedly made by one and not honored by the other. When the proposed merger between Publicis Groupe and Omnicom (which would have created the world’s largest marcoms group) dramatically imploded in 2014, Sorrell revelled in schadenfreude, cheekily observing that in trying to knock WPP off its perch, Publicis and Omnicom had showed that their "eyes were bigger than their tummy". His acerbic style can make him seem irritable and tetchy. The day after Grey Global Group joined his empire in a $1.4bn deal in 2004, I rang to ask him whether Grey would be kept intact or broken up and its accounts split between other WPP networks. "That’s the most stupid question I’ve ever heard," he snapped when a simple but firm denial would have sufficed. "That question is beyond stupidity." What’s beyond question is his work and life are synonymous. He’s perpetually on the move and once pulled out of an interview for a book about work-life balance because, by his own admission, he has none. Indeed, Sandra, his wife of 33 years, cited his workaholism as a reason for their 2005 divorce, a split that reportedly cost him £30m. Three years later he married the Italian economist Cristiana Falcone, with whom he has a daughter. Nevertheless, aged 73, he remained constantly on-call. His quick-fire response to emails is so legendary that a group of diners once bet on his speed. The £20 pot went to former agency boss Rupert Howell who got a reply in under eight minutes. Now that Sorrell's tenure at WPP has come to an end, it’s certainly hard to imagine him not running a company that he embodies in a way that’s almost unmatched. Such has been his determination to remain a driving force he has rejected all requests to co-operate on his biography, believing it would signal his final curtain call. Will that biography be written now? Unauthorised, of course. This article first appeared on PRWeek sister title Campaign.